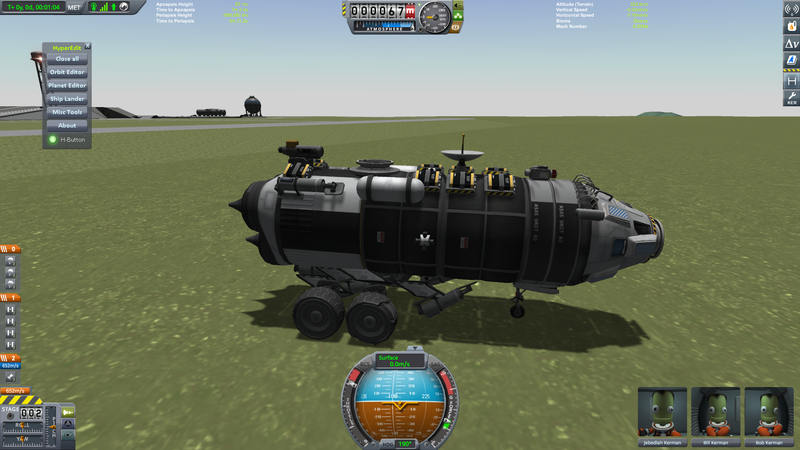 I can't consistently land horizontally ANYWHERE without cheesing reloads. 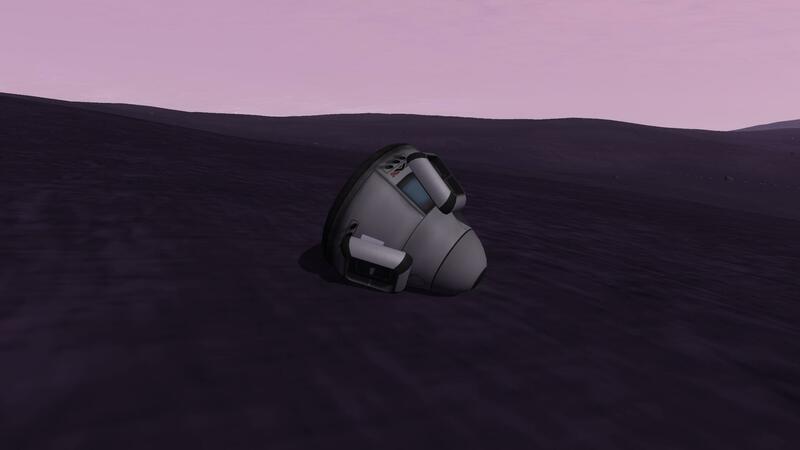 I can PROBABLY land Horizontaly, always being so close to that, can't do it properly in Tylo (starting descent like over 1 km above surface), closest was only 200 meters above Eelar ground. I did that some time ago -won't bore you with old screens. Aerobroke and landed like the plane it essentially was and took off like that also. But I was already using spaceplanes a lot around LKO and a good chunk of the required knowledge was there. Feel free to share any of your failed Eve missions here. Well the landing part is pretty awesome, but the taking off part, not so much. In addition to not having the OP airbreathing Rapiers at your disposal, you have to contend with the combination of a 1000 m/s higher orbital velocity and an atmosphere so thick that any kind of efficient winged ascent profile will cause massive heating. I guess the ideal solution would be to land your craft as a glider on an up-slope, stage off the wings, and then take off up the hill, turning vertical and staging off your wheels as you take off. While in pure stock the Mammoth on a 3.75m tank is no substitute for a bundle of Vectors on smaller ones, the MH 5m tank, multi-engine adapter, and the 3.75m engine plate collectively allow you to totally spam the underside of that tank with engines. 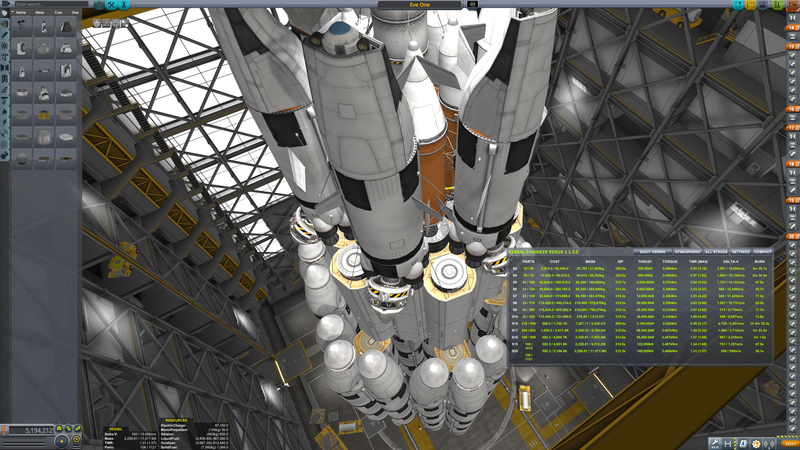 The version shown has 12 Vectors on the bottom and 8 more short-burning ones around the outside, to provide an extra kick on takeoff, with a single Vector on the Mk3 upper stage. 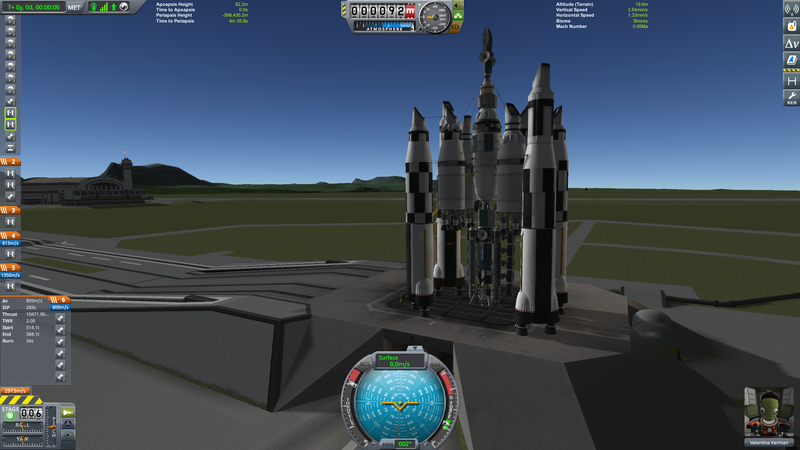 So far I've able to get this to Eve orbit from 100m for around 6.6 km/s flying it by hand, which is no easy task. I have not yet come close to staying fully locked to prograde the whole way through an optimal gravity turn, and any deviation from that attitude is costly down low and deadly up high. 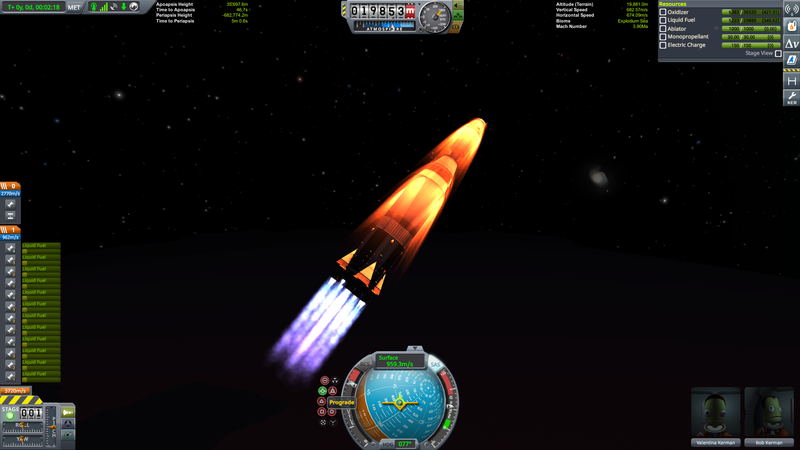 To avoid burning up and maintain some semblance of aerodynamics, I had to put a sacrificial shielded docking port on top, with a 1.25m heat shield behind it, as well as another one right behind the capsule. Even that level of protection requires staying completely prograde through all the upper parts. I am tempted to finally break down and install McJeb just to see what it can do with zero pilot error, but even without doing so I think I can say that bigger tanks are not necessarily worse than smaller ones if you can put enough boom behind them. I'm kind of relieved to find that out, because in actual physics, bigger tanks should have a significant advantage dragwise. 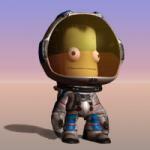 BTW, could some kind soul please let me know how we embed Imgur albums these days? "<imgur>(URL)</imgur>" doesn't seem to be working for me. Answered, thanks! could some kind soul please let me know how we embed Imgur albums these days? I just right-click on the full image itself, choose "Copy Image Location" and paste the file link directly into the forum post. It should embed automatically. Oh and while we're showing off Eve landers, I don't have a pic but below is my video for Evepollo. 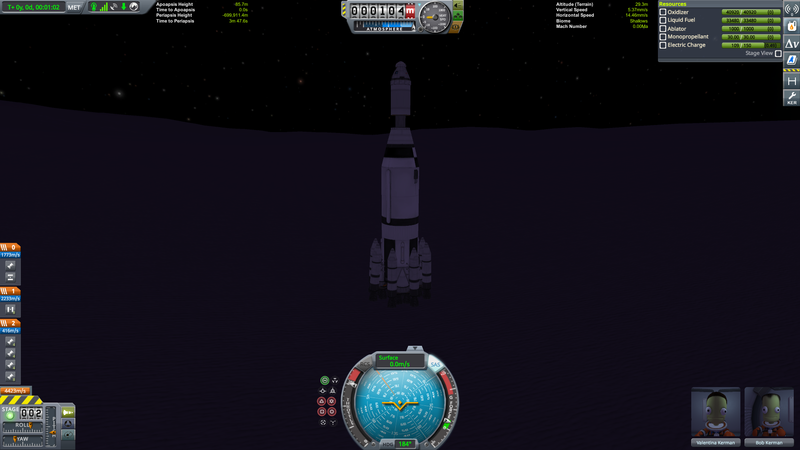 I land on Gilly, fill my tanks with ISRU, then land on Eve without any heat shields by slowing down with all the fuel I'd gotten from Gilly. 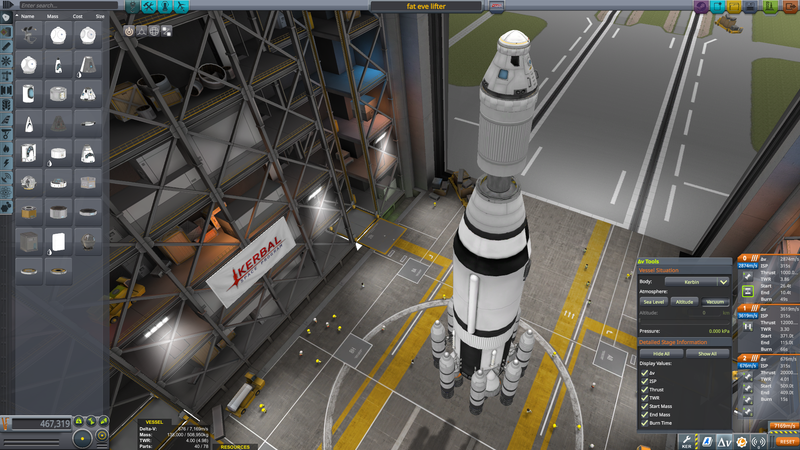 Then I fill with ISRU again at Eve and launch back to space. Here's another example of Vectors and Aerospikes in action, making an escape from Eve. It even shows how a mishap (tumbling uncontrollably late on in the ascent) doesn't have to spell doom for the crew. 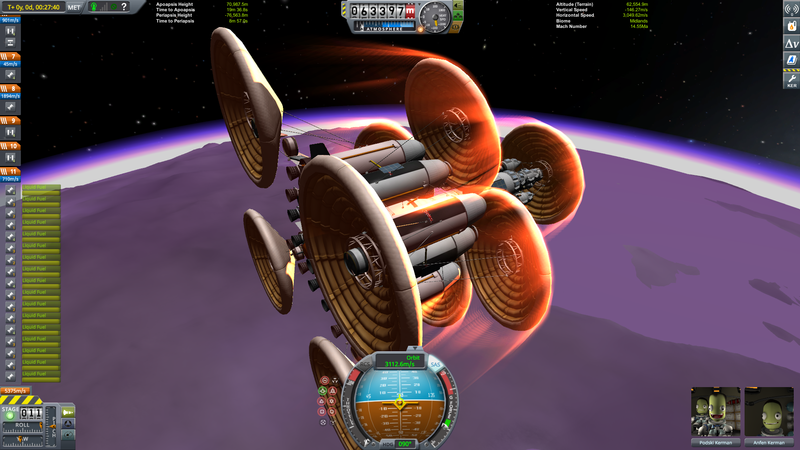 It even made it to orbit with the ropey aerodynamics it has. It was the most difficult mission I've done... Eve entry was by far the hardest part for me. 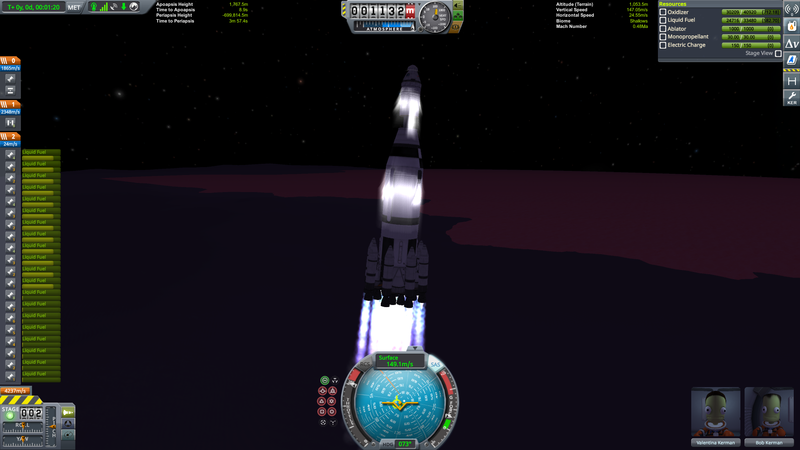 I did this single launch Eve return mission a while ago....Eve entry was by far the hardest part for me. 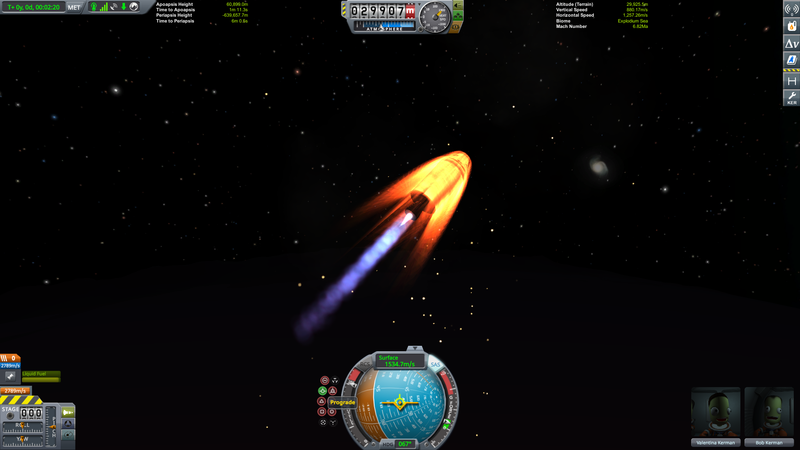 If you can shave off the first 800 m/s or so of your orbital velocity, re-entry is really not so bad. 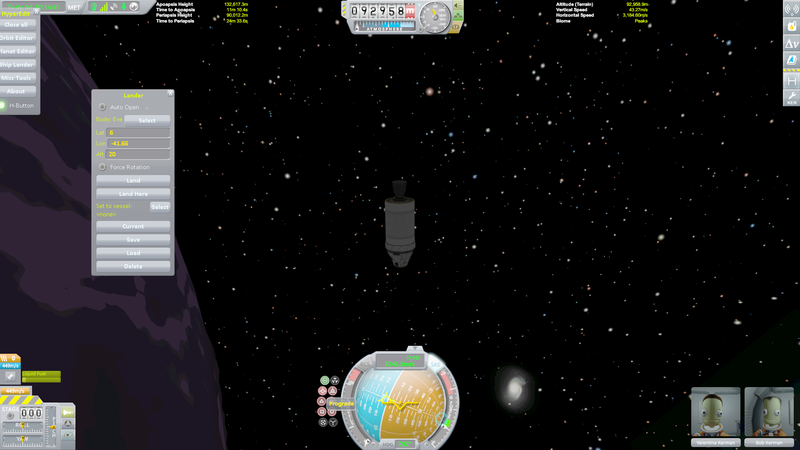 It's trying to do it with a fully fueled 500t vehicle using nothing but shields and chutes that's super tricky. What's Cliffs of Dover? I know the Cliffs of Dover, but is this from another game? 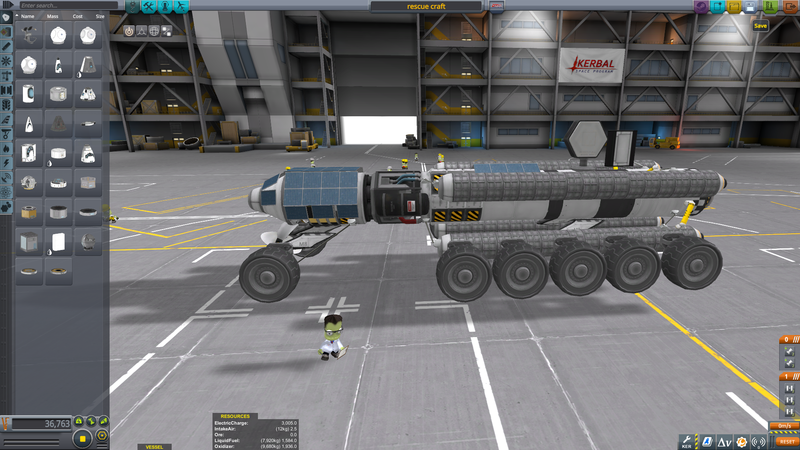 The two units link up via front and rear docking ports, and the one on the bottom is capable of tipping itself to vertical using strategically placed LT-2 landing struts, which allows it to dock itself to the underside of the lifter.